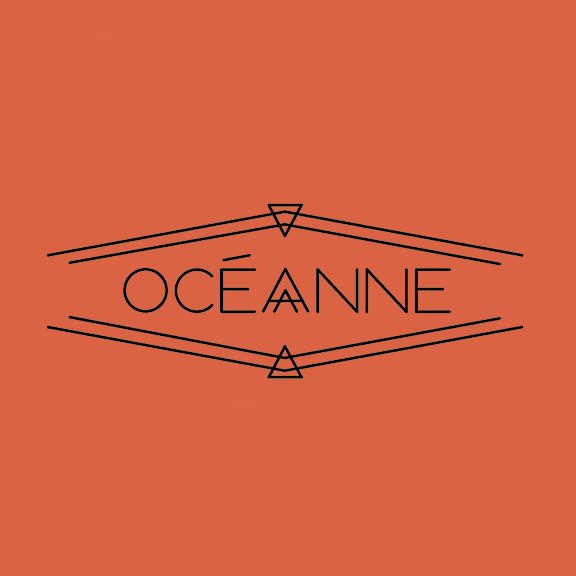 This week, we’re interviewing metalsmith and jewelry maker Anne Harrill with her own brand Océanne in Cleveland, OH. 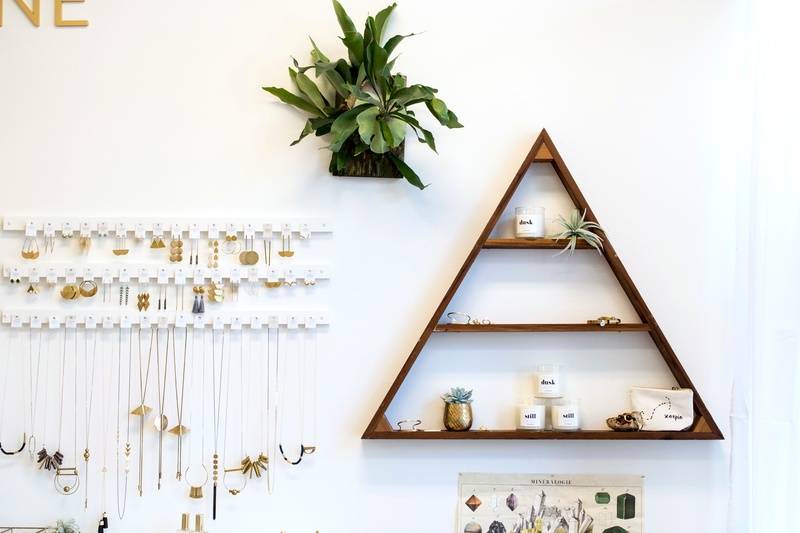 Anne started making jewelry when she moved to the U.S. from France in order to make friends in the creative community. 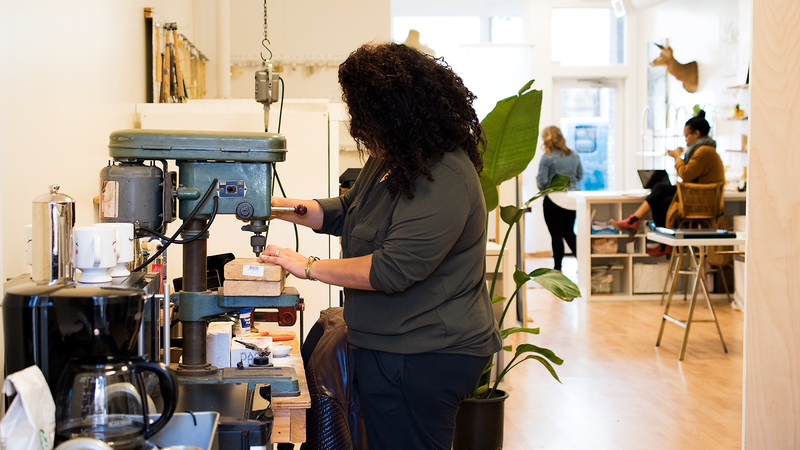 She uses brass and sterling silver sheets to create her hand stamped, hammered, and soldered designs, as well as other metal fasteners, wire, and pliers. 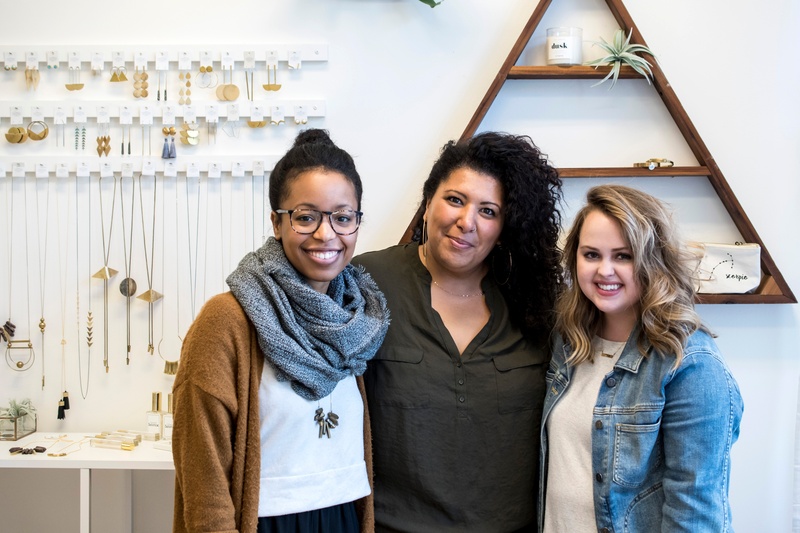 If your brand sells to jewelry makers, this 1-on-1 interview with Anne will give you important insights into building connections with makers like her. 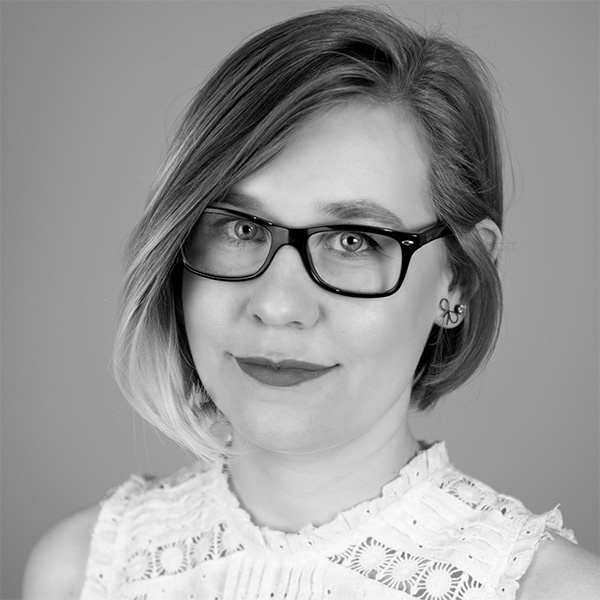 My name is Anne Harrill, and I am a jewelry designer and maker. How and when did you get started making jewelry? I started in 2002-3. Back then, I started because I like to craft, and I had just gotten married and was getting my home ready, so I got into lots of little crafts. I decided to get into jewelry, and my husband is a musician, so I was going to different festivals and events. I saw that there was a whole movement of crafters and makers, and at that time it was something I was attracted to. I am from France, so I didn’t really know many people, and I was trying to connect with people and found that I could put myself out there and be part of the community this way. What's the process to create a new piece of jewelry? Sometimes when I see something that inspires me, and I’ll draw it and see how we can make it into a prototype. Whether it’s brass or wire or something else, we see if we can fabricate it. I talk to my ladies and see if we like it. In our new designs, we play around with weights and shapes and sizes and see how things lay or how they can be worn. For sure there’s trial and error. There are a few that don’t work out, but not many. It’s also good to bounce ideas back and forth. I could like an idea a lot, but when you make it, it’s totally not how you envisioned it. What sort of materials do you like to use? We use brass a lot. It’s our main material because it’s affordable and also easy to wear. It oxidizes a little as you wear it, but you can bring it back to a shine, so I love that metal. We do some sterling silver pieces, stamped rings, or one of a kinds. And we also use gold-filled for some higher end things. For some pieces, we’ll start with a sheet of brass, and we’ll cut it with a saw, and we can hammer to give it a hammered texture. Sometimes we’ll anneal it, or heat it up so you can fold it into the shape that you want. You can solder posts or other elements. We forge things as well to drill it or put it into a different shape. How do you decide on a provider? Talk about trial and error. For my main brass sheets, it sometimes depends on how much time I have as well as price. It’s interesting with brass, even with the same gauge and the same length, it can feel totally different, softer, etc. As you start working with metals, you figure out which are your favorites. The weight helps me determine the quality, as well as the way it reacts to being soldered or hammered, and how long it goes before oxidization with exposure to perfumes, air, skin, and more. It’s different reactions for different materials, but because brass is an alloy, you can add copper into it and things react differently. How did you approach the learning curve f working with metals and jewelry? It’s been 12-14 years now, and I started with beads in a whole different style. The metalsmith part of the business has really come in the last five years for me. Before, I would assemble with beads, or take apart vintage things to get pieces to just put together. I took a few classes, and I had some friends who were metalsmith who helped teach me because they were nice. YouTube videos, to be honest, were a big deal. That’s how I learned to solder. It’s awesome what you can learn from there. What social media platforms are you on and how do you use them? Instagram is my number one, then Facebook, and also Pinterest. 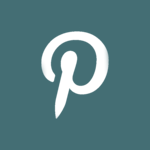 I don’t use Pinterest as a marketing tool, but I use it for research. Then once in a blue moon, I tweet. I use them to connect with other jewelry makers, whether it’s someone I’ve been following for years or someone I meet at a show. We’re asking questions all the time, and we start up these relationships and make friends in the community. I would say it’s definitely a supportive community. I try to follow what’s in fashion and see what’s currently out there that people like. My husband always makes fun of me for saying that shapes inspire me, but we do like clean lines. What really inspires me is thinking of a woman, maybe in her twenties or thirties, and what she would wear on an everyday basis. Would she want a classic piece or a cool statement piece? I imagine what she would wear to think of what to design next. How was the transition to being a full-time maker? It was slow process for me, starting as a hobby until I learned I could make money from this. I never really had a “quit your day job” moment. I got pregnant, and I was a nanny before, and I was also a counselor, so I quit my job to have my kids and have time to focus on that. That also gave me more time to craft, so it evolved at that time. How else do you show off your work? We do a lot of shows, from Chicago to Pittsburgh to Columbus, DC, Atlanta. That’s our main outlet. We’re also doing some wholesale, and stores carry our things. People see us in a lot of places and then look us up online because of that. When it was just me, it was too much to prepare for all the shows, but now I have someone to help me make a better presence online. We’re also opening our new store! Come in after a few months and we’ll let you know how it goes! 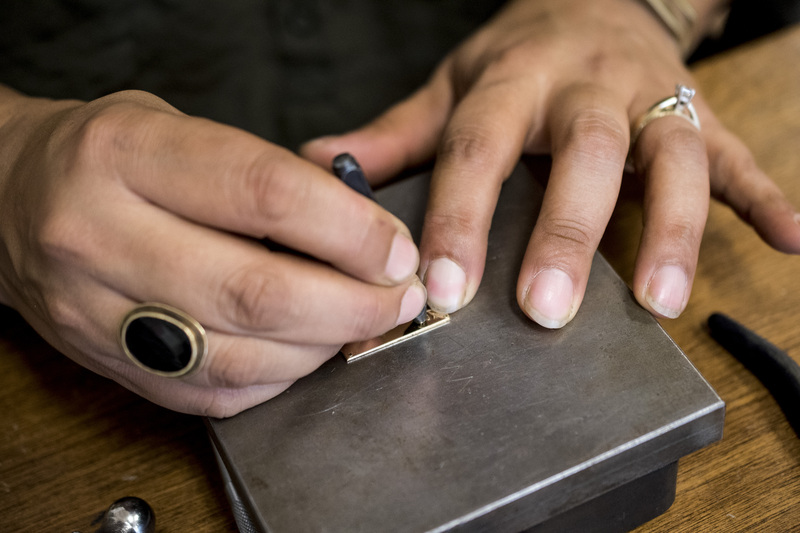 What's the most rewarding part of making jewelry? Running into someone who’s wearing your piece when you go to get coffee, as well as being part of the community. I want to bring joy to people and to be with them in their daily life, that’s my reward. My favorite part of the process is meeting people and connecting with them. I also love making custom things for someone I meet and being part of milestones for people. What motivates you to keep making new things? I suppose to stay relevant and to keep my business moving forward. I love that we keep growing and I hope we keep being here. When a challenge arises, how do you approach it? We certainly have a couple of boxes where we put the things that don’t work, but we usually keep trying. As you make designs, they have to be the right weight and hang the right way, so if I really love the piece, I won’t give up. For example, we’re releasing our new season, and last week one of our final designs was giving us quite some issues with a complicated process. Since we can’t sell it for that much, we had to make the decision of if it was too complicated. We open the doors of our store on Saturday! We’re also doing a new show in DC. I finally got in after I kept getting waitlisted, finally! We have a few new wholesale markets in San Francisco, and i’m looking forward to seeing if the West Coast is into us too.